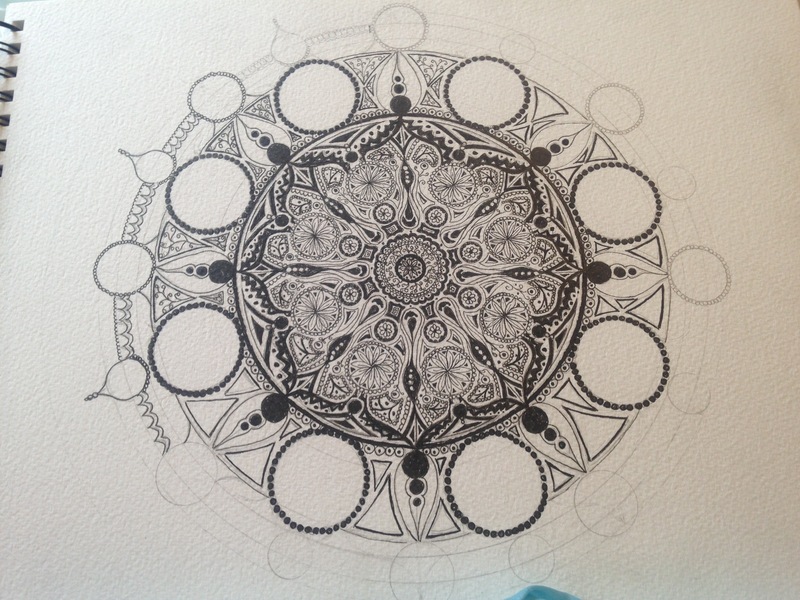 I discovered Mandalas this year – it is an incredibly therapeutic pastime. I like my fine detail, so I make mine complex – I’ve started my design idea in pencil, going over with pencil once I’m satisfied. 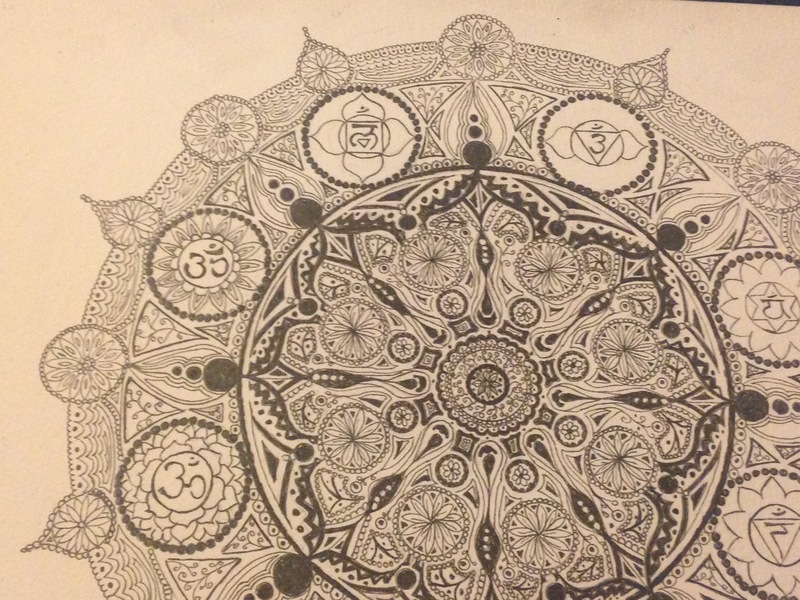 Having counted the outer circles, which came to 8 – it dawned on me to add the 7 chakras and the symbol of “OM”. 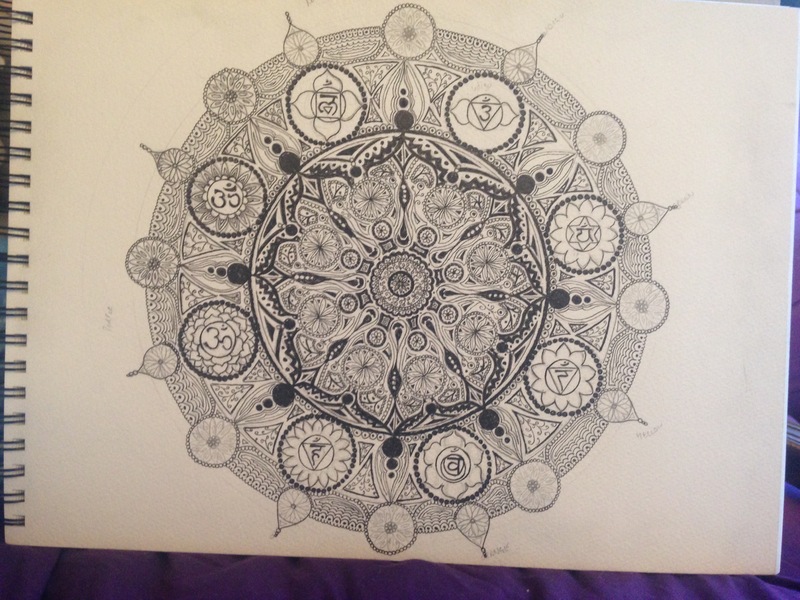 I sell my mandalas as one of a kind, original pieces, on trimmed A3 or A4 cartridge paper. 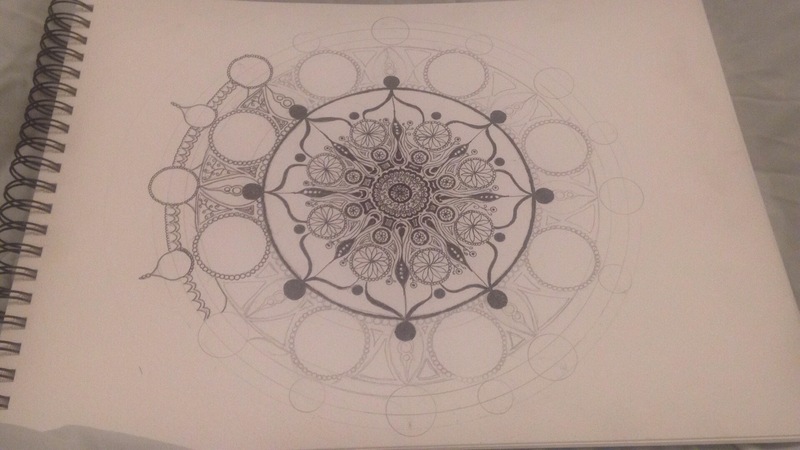 I do not make or sell prints of my mandalas. 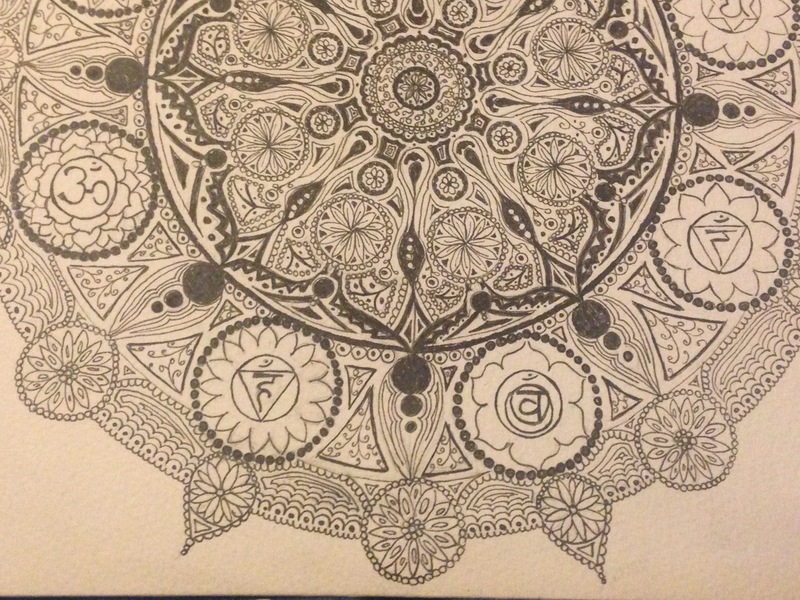 You can buy my Windmills Mandala here.